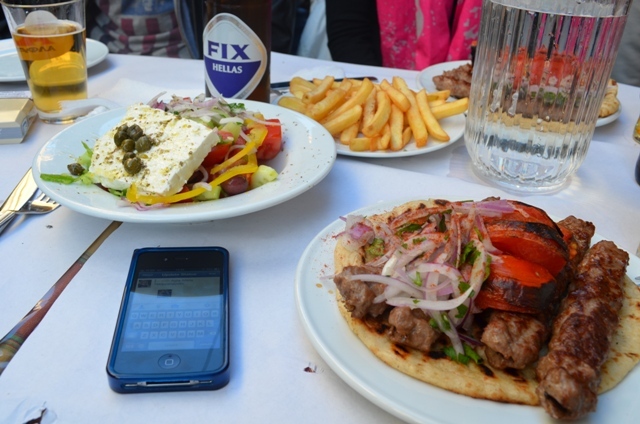 Thanasis Kebab is one of the most popular kebab and souvlaki places located next to the Monastiraki square, downtown Athens. 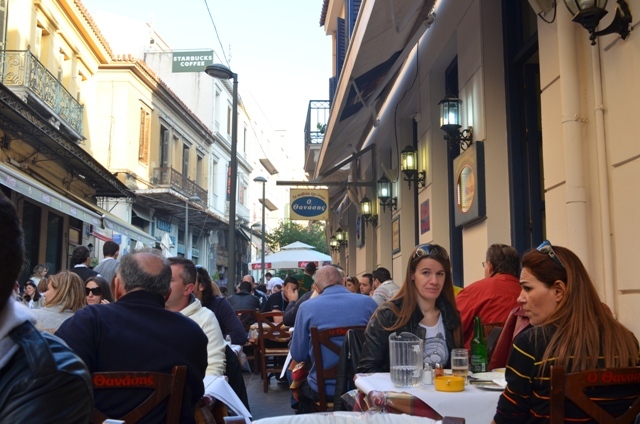 No matter what time of day this place is always full of locals and tourists, enjoying the simple yet delicious traditional meal. This place has been around for 50 years yet it has managed to keep its excellent reputation and quality. 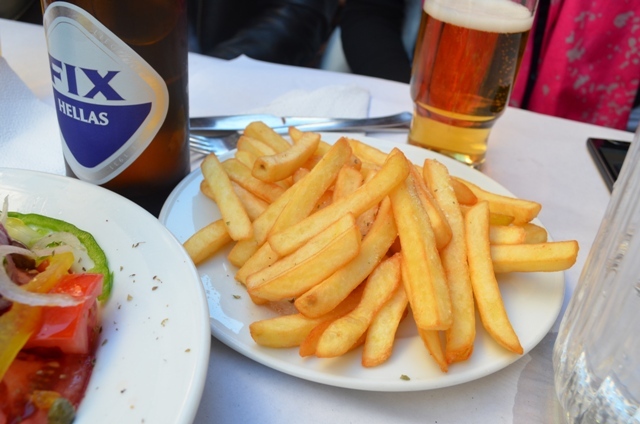 The highlight of the menu is the kebab which is made of ground beef and is cooked on flat skewers suspended over a charcoal grill. 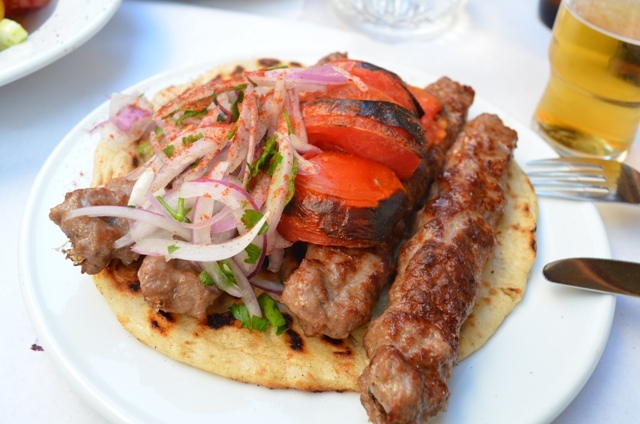 The traditional serving includes four kebabs served on pita bread, sprinkled with fresh onions and topped with sweet fresh grilled tomatoes. 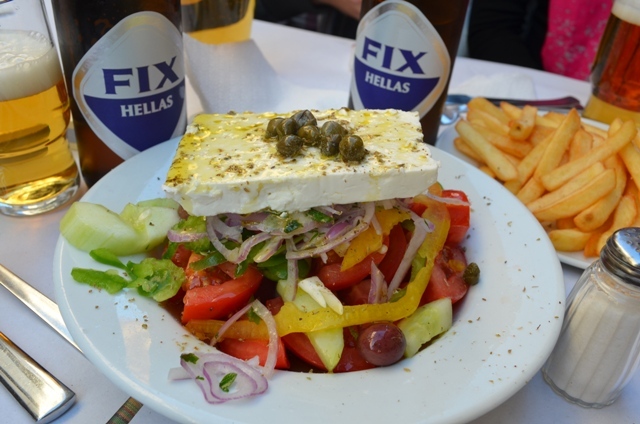 To enjoy a real Greek meal a Greek salad and tsatziki is a must, as well as fresh fries served with a touch of oregano. 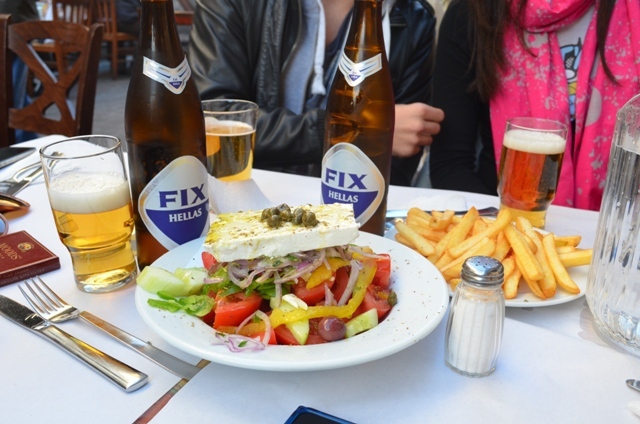 For a perfect lunch one can also enjoy the refreshing Greek beer Fix. 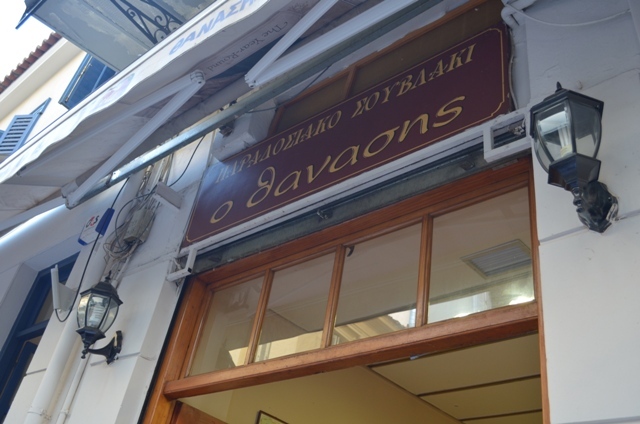 Καλή όρεξη! I have been there! :) I miss this place!